First, make sure your site isn’t littered with broken links. 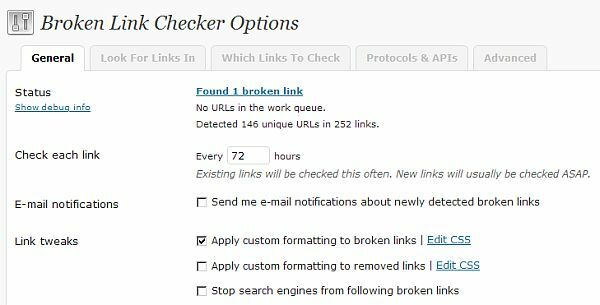 If you’re running WordPress, the Plugin Broken Link Checker makes this easy. It will monitor your site for links that no longer work, and point them out to you for repairs. Remember that a link may appear broken if a site is down temporarily, so don’t rush to fix a broken link that just appeared. If it’s still there in a day or two, get on it! Your site should offer a search box, typically in the upper right of page. If you don’t have a search box on every page, there should be a search option on the menu. If I come to your site looking for specific information, I want to be able to find it with a minimum of struggle. If your website was created in WordPress, you can simply go to Appearance, Widgets, and make sure the Search Widget is positioned appropriately in your sidebar. Some WordPress themes already have a search box displayed, and you won’t have to add a Search Widget in those. A 404 page is where your visitor lands if they mistype a website address, or go to a page that no longer exists. It’s important, first, to make sure you HAVE a 404 page. Just type your site name followed by a forward slash and a page name that doesn’t exist. Where does the lost visitor end up? If they do land on a 404 page, does it give them an easy way to get back to the home page, and a way to search for what they’re looking for? At a minimum, that’s what your 404 page should offer. I encourage you NOT to insult your potential client on this page, as I’ve seen lots that say something like “Looks like you’ve made a mistake”. That’s annoying to them if they did err, and even more so if they didn’t and it was your mistake. Here’s an example of a good 404 page from one of my other sites: http://bootstrapblogger.com/imlost You’ll notice that my Broken Link Checker Plugin is displaying the link to you in red, with a strikethrough, to let you know it goes to a non-existent page. In this case, however, that’s the point! Try it out. A further great way to improve your 404 page can be to make it entertaining, particularly if the humor is slanted to your website audience. For some fun examples, check out Mashable’s list of 35 Entertaining 404 Error Pages – complete with pictures. You can do all this with the plugin? Cool. I’m going to download that. Thanks for the tip! I just found this through Facebook. Twitter is so much fun and this is helpful. I’m always on the lookout for twitter programs. I’ll check back soon, Thanks! @Marcelle Motton, glad you found it helpful. I find Twit Cleaner gives me the right amount of control over who I keep following and remove, I really like it. This is my first time I come to your website and sincerely, your blog are good blog with hold a set of articles that I have never know before this. I will subscribe and bookmark you sitebecause after this, it easier for me to come back and read new articles that you post. Before I finish, what can I said is please continue writing on your blog because I know this website have a good and great future. Great notice I recently came across your blog and have been reading along. I thought I would leave my opening comment. I don’t know what to expose except that I have enjoyed reading. Unerring blog. I will keep visiting this blog very again. A truly great article by you my good friend. I’ve bookmarked this web page and can arrive again following several days to verify for almost any new posts which you make. Hi, i just thought i’d post and let you know your blogs format is really messed up in the safari browser. Anyway great post keep up the good work. @Luciano Ardd, I’ve tested it in Safari, and it looks fine in my version, which is 4.0 for the PC. Can you let me know which version you’re using, and what specifically looks messed up? I’ll try to fix it up for you. Thanks. Hi, I discovered your website in the new directory of weblogs. I dont understand how your webpage arrived up, should have been a typo, Your website appears excellent. Have a very fine day. Wonderful post of yours, many thanks. Your blog got a new subscriber. Wonderful post, thanks. You just got a new reader. Exactly what we needed to read, many thanks for writing it. I wish you had some more comments, so there was future notes about your blog posts. How many months have you been writing here? I really love the blog. Are you getting paid to write this post – or do you do it without getting paid? @Harold Quinn, Well, Harold, nobody is paying me by the hour, but I’m building community and credibility that helps my business succeed. For how long have you been having this blog? We totally love it. How much time do you use on this blog of yours from day to day? I really created my own business at home and I have not regretted it one bit. It really feels great, especially after my old company layed off a bunch of people. @Chuck Celani, It’s hard work, Chuck, but it’s a great feeling to take care of yourself without relying on a job you could lose at any time. How many months have you had this blog of yours? We totally like the blog. How many months have you been having this blog? We totally love your blog. @Ricky Benyo, this blog is fairly new, it started in July 2010. You might find the posts at http://bootstrapblogger useful too, if you like what’s here. Wow! Is this blog great or what, thanks a lot for writting it. I really liked this post. You write about this topic very well. Great Marketing Strategies helps expand the business in the right way. Can I generate results straight away or will it take some time to show up? @Joaquin Cortez, I suspect you already know the answer, Joaquin. While some of your actions can generate immediate results, most of them show their real power over time. @Dona Grosby, It really varies, Dona. Right now I’m spending a great deal of time on workshop creation, so the blog is getting less time than it deserves. As a general guideline, I’d aim for at least an hour per day on a fairly new blog. I dont think I could have said it any better myself. You totally expressed the same thoughts that I was thinking with this wonderful blog writing. Please keep readers such as myself engaged and keep creating such powerful content. Social Media Marketing plays a major part in Nunavut businesses’ success. This is a very intriguing topic. Thanks for the write up as I enjoyed it quite a bit. I really enjoy this blog. Could let me know how I could subscribing with it? By the way I stumbled upon your site through Google. @Tammi Littles, Look for the big red arrow on every page. Thank you for taking the time to explain this affair. I’m happy I stumbled upon your website on this subject. I’m doing analysis on this interest right now and this assisted. Keep up the great work. 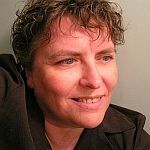 Another best site that I have ever found.Your writing and ideas are very useful. Thank you for nice post. I take pleasure in studying these writings becuase they aid me with my flash or shockwave game building that I do fairly a lot of, it’s a dissapointment all the rubbish comments that these sites are starting to get though, they ought to sort. I’m still learning from you, as I’m improving myself. I absolutely love reading all that is posted on your site. I have gone through your site and really like your content. I am running a PR5 General Web directory digitaleveuk.org I suggest you to submit your site to my directory for free as it would enhance your site ranking in search engine and you would get more traffic.